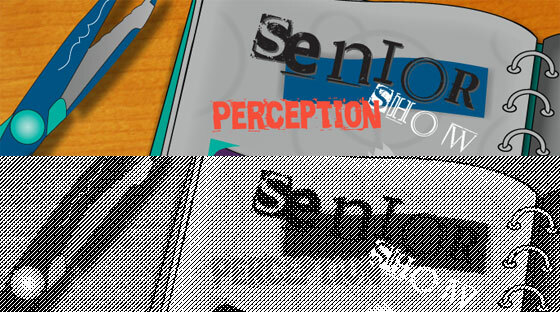 Perception is a show focused on social concepts. Over the past four years, these students have built individual characters that flourish around social issues and have learned to convey their passion for the subject through their work. Social criticism will be the focus of one show which strives to challenge society to rethink religious community and theology by acting out what they claim to believe. The second set of works is to reignite pride in not only one’s country or state, but also in one’s own cultural background. The third show previews challenges the traditional andocentric view of women portrayed through media by seizing the opportunity to show women’s true bodies. Together all three students work toward changing the typical lens through which people perceive the world so that they may imagine society with a new perspective. All three students are seniors graduating in the spring of 2013 who have spent the past four years as students at West Virginia Wesleyan College. With a combination of majors in Graphic Design and Painting and Drawing, the students have combined their skill sets and techniques learned in order to produce three individual series of works that convey their personal passions.